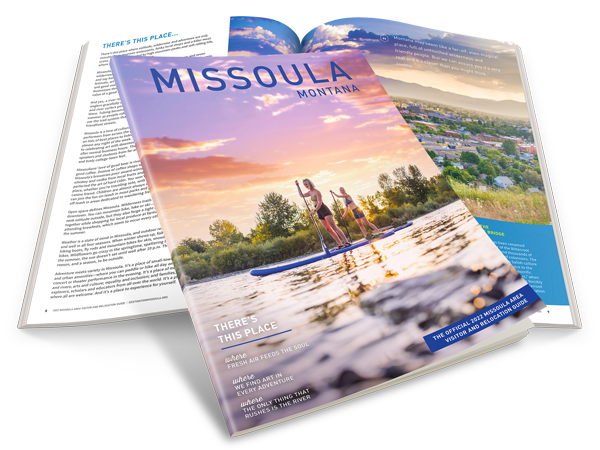 Maybe you’re passing through Missoula on a road trip with your sweetheart, or simply a local looking for an excuse to celebrate with friends. Either way, we did some digging and found 2019’s best Valentine’s destinations throughout the city—just take your pick! Draught Works is well known for a full calendar of unique, beer-related events all through the year and Valentine’s Day is no exception. They joined forces with Black Cat Bakery to bring us four perfectly paired dessert and beer duos. Make sure to call ahead of time to check on ticket availability! Of course if you don’t make the cut but still feel like a hoppy Valentine’s, there are plenty of breweries to choose from. Cozy up among candlelight while watching the snowfall at Caffe Dolce. This year they’ll be featuring a five course prix fixe dinner, paired with the perfect bubbly! An additional a la carte and children’s menu will be available, and reservations are recommended. Red Bird is a fine-dining and live music classic in Missoula, making it a go-to for Valentine’s day. Call today and see if you’re lucky enough to snag a spot for their Valentine’s prix fixe menu—we hear it’s worth it! Valentine’s Day doesn’t have to be all candlelight and fine wine! Top Hat Lounge will have a funky, fresh-off-the-mountain electronic duo called Skiitour playing, so grab a signature cocktail at their full-service bar and hit the dance floor for a change of pace this Valentine’s Day. On most nights you can wander into Plonk, seat yourself in a big cushioned chair and grab the perfect craft cocktail to compliment your chef’s cheese board. This Valentine’s Day, however, reservations are required for a fully immersive night of Plonk-made magic. Reserve with jason@plonkwine.com for four lovely courses and live music by Josh Farmer Trio. Acoustic music, food specials and a killer tap list – what more could you ask for? Rumor Restaurant will be cooking up some delicious Valentine’s treats (think molten lava cake with strawberry coulis) and kicking off the lovely acoustic music of Sienna Hester from 6-9pm. Take a break from Netflix this Valentine’s Day and enjoy dinner and a movie at the dine-in AMC theatre connected to Southgate Mall. Movie options for your 2019 Valentine’s include Isn’t It Romantic, A Dog’s Way Home, Aquaman and more.